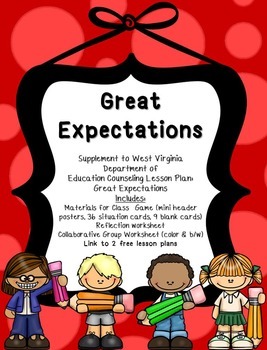 This is a supplemental set for the two lessons entitled "Great Expectations" from the West Virginia Department of Education School Counseling Curriculum. 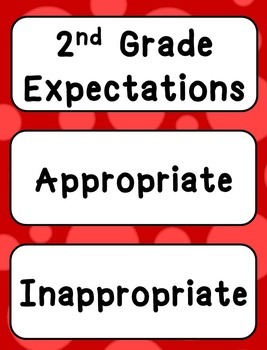 -2nd Grade Great Expectations: Students will be able chart expectations of second grade students. -I Am Proud to be a 2nd Grader: Students will write a brief paragraph and draw pictures of what is expected of them in 2nd grade.